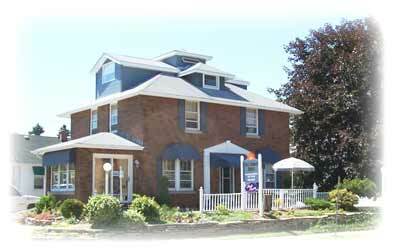 Welcome to Port Stanley House Bed & Breakfast! days to enjoy the area's diverse offerings such as the local beaches, theatre, golfing, dining establishments, unique stores, attractions, and galleries. Upon returning to Port Stanley House after a full day of fun and sun, soak in your private two person Jacuzzi, open a bottle of wine from the local vineyard, star gaze on your private roof top deck, or curl up in the comfortable bed and watch a movie or read your favourite book. After a restful night's sleep, awake to the aroma of fresh coffee brewing in your room and take in the sun with the birds on your private deck. Enjoy a freshly prepared continental breakfast in the sunny breakfast room or take a tray of breakfast goodies back to your private deck. And be sure to try Barb's famous Sunflower Banana Bread! Port Stanley's most sought-after accommodations.